The Greek people and especially the citizens if Thessaloniki use to say that there is no place like Chalkidiki. The sandy beaches, the rich mountains and the breath taking scenery makes you feel more lively and makes you forget your daily routine. That is the perfect place to enjoy your vacations by travelling around unique locations. That is also the location of the Mount Athos, one of most holly places for the Christians. Chalkidiki is one of the most loved destination for Greek people and for tourists from all over the world as well. At the first regions of the peninsula you are going to join a more cosmopolitan lifestyle but as you going more deep you will find a lot of unique family paradises. Even the Chalkidiki hotels are more family style but you can make any kind of accommodation choice you prefer. 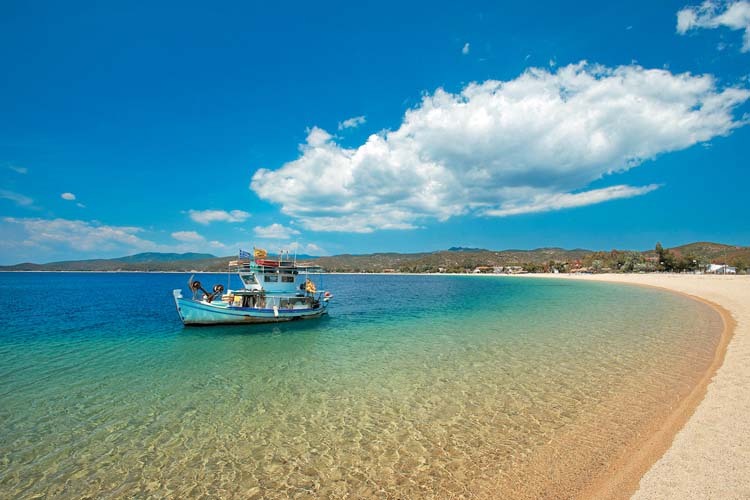 Do not forget that Chalkidiki is a one of the biggest travel destinations so if you have made your decision to visit that place you have to hurry up and make the proper reservation. In order to help you we offer you the opportunity of using the online booking service which is available for you on our online page. If you would like to have low budget vacation, Chalkidiki is a great place to visit. You can book economic airitickets to Thessaloniki and rent a car with which you can travel around Chalkidiki with your family or with your friends.